Yesterday morning I woke to a message from a parent who was concerned about a report she saw on ABC News. From the language used in the first 30 seconds of the Nightline segment, which included phrases such as bad medicine, shocking revelation, dangerous conditions, breaking investigation, and alarming discovery, I would almost be surprised if parents weren’t panicked. The follow-up piece on GMA was more of the same. It’s clear that this type of media language can potentially illicit fear and hesitancy among parents. However, I’m not sure it was truly called for. While these are valid concerns that require a definite response, it’s important to put this in perspective, which appears to be what ABC News Medical Correspondent, Dr. Richard Besser attempted to do with his reassuring and reasonable responses. Both Dr. Richard Besser and Dr. Anne Schuchat, director of the CDC’s National Center for Immunization and Respiratory Diseases, explained that while improper storage may result in a less than optimal immune response to a vaccine, it does not pose a safety concern. Quite frankly, research has shown that there are lots of factors that could result in a less than ideal immune response, even something as simple as administering Tylenol before a dose for example. Therefore, while the investigation raises questions, it’s difficult to know what the overall impact is. As Dr. Anne Schuchat explains, this report was a “wake up call”. While that is reassuring, it reiterates the importance of community immunity. If the immunity is compromised for one recipient, hopefully there are enough properly immunized people around them to restrict the spread of disease. However, none of the samples that were improperly stored were tested to determine exactly how the storage may have impacted the vaccine efficacy, which leaves us wondering what the real implications are. As far as providers go, it’s important to acknowledge their responsiblity here, as well as their challenges. Critics often suspect that doctors profit greatly off vaccines. However, doctors I’ve spoken to about this accusation explain how costly vaccine administration is to their practice. Not only do they have to invest in an uncertain amount of inventory, they often eat the cost of vaccines that have expired. Additionally, as this report suggests, they need to ensure they have the proper equipment, as well as adequate staff that are well-trained to administer vaccines and oversee the appropriate storage. Perhaps doctors can be utilizing better technologies that ensure the temperature of the vaccines remains constant? But at what cost would this come? 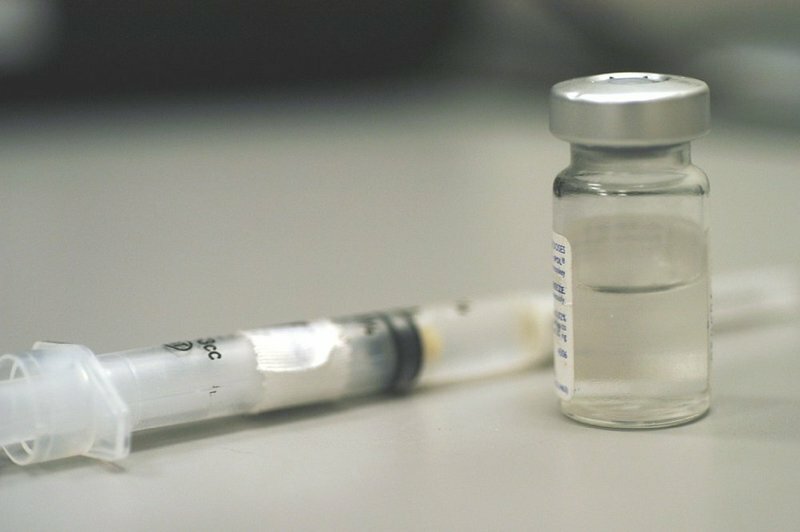 Despite the frequent criticism the government receives about vaccine safety, it’s important to note that this particular investigation was conducted by the Department of Health and Human Services’ Office of the Inspector General and that the results have been made public in a new government report, further illustrating that vaccine policies are overseen by an open and elaborate check and balance system. Personally, I appreciated hearing Dr. Schuchat respond to the finding of this report and admit to the challenges that vaccine storage present. 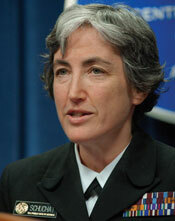 She even accepts responsibility, on behalf of the CDC, for making positive changes. Hopefully we’ll find that vaccines storage policies will be further monitored and scrutinized for compliance. However, we must recognize that these are costly and time-consuming investigations to perform and if we fail to invest the proper funds in public health, these kinds of investigations may not happen as often, or maybe even not at all. As parents, we are empowered by this information and must insist that efforts be made to improve the situation. We can start by addressing our concerns with our individual providers. What other suggestions do you have to ensure better compliance with vaccine storage policies? What are your thoughts on the government findings and what do you think this news coverage has communicated to the public? “The inspectors found 76 percent of the offices or clinics had stored vaccines at the wrong temperature for at least five hours in a row during a two-week period. These improperly stored vaccines were worth nearly $370,000. It appears that, as in everything having to do with vaccines, the money is a far more important consideration than people’s health. How many drug pushers comply with every regulation regarding the proper production and storage of illegal drugs? Do we really expect medical professionals to do any better with legal drugs? It appears that, as in everything having to do with vaccines, the money is a far more important consideration than people’s health. Which makes it suspicious that folks like you want the diseases to return. How is it much cheaper to treat those with measles who need hospital treatment (which in Europe is one out of four cases) than to provide every child with two MMR doses? This story is more of an alert that vaccine storage is important, and that clinics have management issues just like any other organization. It is a good thing that there are regulations and inspections to prevent harm, like reduced vaccine efficacy. The money spent may very well be a cost saver in preventing problems later. And as far as media goes, they never get the story right. But the vast, vast majority of the people who get measles don’t even need to see a doctor, much less be hospitalized. For the vast, vast majority of people, measles, mumps, chickenpox, whooping cough, hepatitis-A are not very serious diseases which confer permanent immunity and a stronger immune system without having to incur the many risks of vaccines. People in Europe have free health care (paid for by their taxes, that is), and so may go to a doctor just for reassurance. There is little or nothing allopathic medicine can do to treat viral diseases like measles and chickenpox. If not a single doctor observed correct storage and usage techniques according to this article, how likely is it that they can all be whipped into shape so that people can at least believe that the vaccine they get was properly stored and still within its usage date? I just read that the pertussis vaccine in the DTaP, if improperly stored, reverts to toxic status, causing disease in recipients who probably wouldn’t have gotten it without the vaccine. There have been 9 deaths in Europe from measles, liz. Numerous complications and hospitalizations (http://ecdc.europa.eu/en/publications/surveillance_reports/vpd/Pages/emmo.aspx). So while some may come through the illness with a complete recovering, others suffer horribly, have permanent injury or die. You think these people deserve this fate because they aren’t part of the majority? I just read that the pertussis vaccine in the DTaP, if improperly stored, reverts to toxic status, causing disease in recipients who probably wouldn’t have gotten it without the vaccine. Did you just read this on an anti-vax website, because it is completely false. You cannot unboil an egg. An denatured toxin cannot revert to toxicity. Nine out of thirty thousand. It can be viewed as a lot or very few, depending on the viewpoint of the person considering the figure. Measles is the most serious of the previously routine childhood diseases, and should not be taken lightly. Bedrest for the entire course of the illness is mandatory, as is staying well-hydrated in a darkened room. I don’t have any means of knowing the previous health status of the nine people out of thirty thousand that got measles and died of it in Europe last year. I saw one article that said “Une ado est morte de la varicele” , which would mean a teenaged girl died of it, one of the nine, but I don’t know her previous health history. I know that the vast majority of the people who get measles are very sick with a high fever and a bad cough, the fever for several days, the acute phase of the illness up to two weeks, and then they recover, with permanent immunity. A healthy immune system knows how to muster its forces to overcome diseases like measles. High doses of vitamin A greatly decrease the risk of complications. A new disease like Ebola would be a different story. Previously healthy, well-nourished children are extremely unlikely to die of the measles. But, as always, it should be left to the parents of the child involved (or the adult patient involved) to decide whether to risk getting measles or adverse events caused by the MMR. I only advocate a lot of research before getting any vaccine, and after that, I respect the choice any individual may make. As a mother, I watched three of my children suffer through severe bouts of Chicken pox at the same time. My oldest, a daughter, had it a couple of years before, but her case was more mild (no rash really but very high fever, etc. making it impossible for her to do anything on her own due to being so weak with illness) but my boys that were born at the time did not get it when she had it. When my oldest son was in kindergarten, I remember him coming home one Friday to tell me a little boy in his class had chicken pox. When he told me that, a cold chill went down my spine because I knew it was highly likely he had been exposed, which meant my other sons would have also been exposed through him. I remembered how listless my daughter was with her bout of chicken pox and how worried with fear I was for her, and it frightened me to think of that happening to my boys. I waited, hoping maybe nothing would happen. The following Monday, my oldest son came into my room, very early in the morning, telling me he didn’t feel well. He was covered in a rash and had a high fever (104 if I recall) and I knew then we were in for a very rough couple of weeks. My oldest didn’t get chicken pox at that time, but my younger children did, my other two boys were 3 and a half and 9 months old. My poor baby was covered so thickly with sores he was screaming for nearly a week straight where normally he was the happiest, smiliest baby I had ever seen and hardly cried at all from the day of his birth. My oldest son had a fairly mild case, but was still miserable and would only let me touch him to put cream on his sores, so I couldn’t even give him mommy loves to help comfort him while he suffered. My third child, second oldest son had the worst time. His illness lasted much longer then the other two boys did and several of his sores became infected and required medical intervention. While none of my children was hospitalized, they all suffered and I had to watch it and I hated watching them suffer like that. When my fifth child was born, the vaccine was available. She got it and hasn’t had to suffer from the disease, for which I am grateful. My youngest son also is now immunized from chicken pox, as well as all the other diseases we now vaccinate for (with the exception of flu, because he doesn’t actually get sick very often at all). My point here liz allen is, if a child can get immunity from a potentially harmful and deadly illness, without having to suffer and with very, VERY little risk, I’m all for it. Watching my children suffer cut me to the center of me. If I could have taken their pain I would have, but it wasn’t something I could do for them. Disease is not something to laugh about. They have the potential to do serious and permanent harm and also can cause death. Perhaps the potential of death is low, but ya know, I’d rather not gamble with my children’s lives, I’d rather not see them suffer. What mother can honestly say they enjoy watching their child in pain and agony from a disease which is very easily prevented? Our jobs as parents is to protect our children from harm, and the harm from disease is significantly higher then any potential harm from any vaccine, not to mention the unnecessary suffering you force a child to go through by allowing them to contract the disease that we now have the ability to prevent. That, to me, says sadist, power hungry, possibly it just gives you a talking point at the next PTA meeting to get people to feel sorry for you? A lot of people use their children to get attention for themselves. And when a child suffers, and it’s a parent telling about that suffering, it most likely isn’t the child that gets the attention from that telling, but the parent. Yes, I realize this is antagonistic, but any parent who would allow their child to suffer through something that can be prevented does not have the child’s best interest at heart. So for me, there is much more to it then just the potential of permanent harm or death, for me, it relieves my children of a lot of needless suffering. Life is hard enough these days for children, we don’t need to add to it by making them suffer from a disease that is preventable. Good to see that you have corrected your claim that measles is a mild disease, liz, although I’m appalled at the suggestion that 9 deaths from a preventable disease would ever be considered acceptable to any reasonable person. Furthermore, death is not the only complication of measles. As you have admitted, even in the best case scenario, people suffer from this disease. Preventing this suffering is highly desirable to all except pro-disease advocates. Vitamin A is also only useful for those who have a vitamin A deficiency and even then only lessens the risk of serious complications. Vitamin A doesn’t eliminate these risks, like the vaccine does. Measles virus is a very good pathogen. Measles virus has no problem defeating a healthy immune system. Just about everyone exposed to measles virus gets measles. If a healthy immune system can defeat this virus, why do so many people get sick with measles, liz? Now, we just have to get you to realize that the risks from complications from measles, mumps and rubella are much, much, much greater than the risks from the MMR. There is no need worry about treating measles, when the vaccine can be used to prevent the disease in the first place. Perhaps, unlike your friend cia, you may be able to learn. Although, I’m surprised you don’t follow your own advice. Everything you have posted on this blog has been demonstrated as false. Why didn’t you do your own research before deciding to not vaccinate? Yet, in Europe one in four ended up in the hospital. While that may not be a majority, it is certainly significant. For the vast, vast majority of people, measles, mumps, chickenpox, whooping cough, hepatitis-A are not very serious diseases which confer permanent immunity and a stronger immune system without having to incur the many risks of vaccines. That is wrong. There is no such thing as permanent immunity from pertussis (it can wane in as a few as four years), and one does not get immunity from chicken pox because the virus reactivates to cause shingles. Now please give the titles, journals and dates of the PubMed indexed journals that show the risks of the vaccines are more than the diseases. I find your lack of compassion and understanding on the discomfort, disability and death from those disease to be very disturbing. It is like you really hate children. It’s much cheaper to deal with the natural disease measles than it is to deal with a lifetime of vaccine-induced disability. 1. provide evidence that MMR causes a lifetime of disability more frequently than measles. 2. provide evidence that it is indeed cheaper to deal with measles than any vaccine complications. liz, your friend cia used to come here and post nonsense that she just made out. She would also flat out lie. I see that you are either posting on her behalf or taking lessons from her. If you are going to make these types of statements, you have to provide evidence to support them. Otherwise you are just wasting your time, because people are just going to dismiss your posts as fantasy. @Liz – how about the costs of a dealing with a lifetime of blindness or deafness, or congenital birth defects due to rubella? All of those are proven, actual side effects of the diseases we now vaccinate against, as opposed to your conjecture about the “autism – vaccine” link that has yet to have any evidence to its credit. Liz, you are attempting to compare apples and oranges. Illegal drugs are illegal, therefore, there are no standards for ‘properly’ storing them. That should be obvious. If something is not federally, or state, regulated, how can there be any regulation for proper storage? That was just a silly thing to say really. The points that you brought up are about money, but I can’t believe this is all that was talked about in the news report (I don’t watch TV so I didn’t see this report). It seems to me the most important message is, based on what Christina has said, the vaccines will be less effective, meaning some people might not get the immunity from using it, but that doesn’t mean they are dangerous or harmful. This of course, if another example of media hyping something into hysteria, or trying to, because they are after viewers and rating and most don’t really care about the truth, or lack of it, in the content of their ‘news’ programs anymore. “If you read the article, one of the primary vaccines mentioned is DTaP. The pertussis toxin used in the acellular vaccine is chemically-inactivated using formaldehyde or glutaraldehyde. These chemicals inactivate pertussis toxin by forming cross-links (i.e. chemical bonds) among protein strands at the amino acid lysine. The original toxin is unaltered beyond the cross-linking. However, there is a big problem. If stored at the wrong temperature or over prolonged periods, chemically-inactivated pertussis toxin can revert to toxicity as the cross-linking breaks down. This fact is well known in the industry and has led to calls for a safer vaccine using genetically-inactivated pertussis toxin (replacing key amino acids) rather that using chemical inactivation. The industry has resisted due to the costs involved. Google “pertussis toxin revert to toxicity” to see for yourself. Who is Jeff C. and why is his opinion superior to the director of the CDC? Further, what evidence do you have that “Jeff”‘s theory occurs in conditions anywhere approximating what we are talking about? These cross-links aren’t going to break down due to improper storage. It requires energy, link heat, which would also break the bonds holding the toxin together. Jeff C is telling you lies, liz. I would go to more reputable sources for your information. I would also suggest thinking for yourself instead of just repeating what someone told you. Basic chemistry is all you need to know Jeff C doesn’t have a clue what he is talking about. We wanted to let readers know that we will be trying to keep you updated regarding how these concerns are being addressed. In conversation with the CDC today, it was noted that there was not a particular issue that alerted the Office of the Inspector General to conduct the report, but rather this inspection was a routine assessment of the Vaccines For Children program because the program uses federal funds to vaccinate uninsured, Alaskan native, native American Indian and Medicaid children. The CDC is working internally to determine the best steps forward. They hope to address the problems by providing the right level of accountability to protect vaccines without creating more barriers and/or cumbersome paperwork to the process that may result in providers dropping out of this extremely crucial program. We will pass along any other information that we receive so that you can remain informed. liz, the clinics provided the vaccines for free and improper storage would represent a waste of money rather than a profit. I’m also not following your comment about the regulation of illegal drugs. To me, illegal drugs would be unregulated by definition. When I first read this post, my initial thought was that a centralized program might be better than having individual doctors administer vaccines. I was concerned that these violations were part of a centralized program. It just seems so wasteful to go to the trouble of distributing and administrating the vaccine while dropping the ball on improper storage. I would like to think educating providers on the importance of proper storage will go a long way. Perhaps the engineers could come up with storage units that more precisely maintain the correct temperature and these storage units must be distributed with the vaccines. That said, I did find the media reports unnecessarily alarming. It seemed to be that ABC was more interested in manufacturing a scandal and creating scandal then reporting the results of the study. They overly emphasized the possibility of the vaccines being ineffective or less effective, rather than actually confirming if this is true or not. Not achieving maximum benefit does not equate to no benefit at all. So while the storage conditions may not have been ideal and this is an issue that definitely needs to be addressed, the conditions could have still be adequate to produce an effective response. I also think that the media should have emphasized that even with the possibility of improper storage, vaccination is still better than no vaccination. I did like the suggestion to parents to double check with their provider on confirming proper storage. I think providers would welcome this concern and it reconfirms the importance of checking expiry dates and storage conditions. No one provides vaccines for free, the taxpayer paid a lot of money to fund the vaccines provided for “free” at public health clinics. If improper storage causes vaccines to revert to toxicity, as explained by Jeff above, then no vaccine would be much better than an improperly stored vaccine. And if doctors have to spend tens of thousands of dollars (or more) to maintain a vaccine supply, how likely is it that they’ll just send them to a toxic waste disposal site when they pass their expiration date? And they do have to send them to a toxic waste disposal site. Three years ago a tremendous number of doses of the H1N1 vaccine went unused, and had to be considered hazardous waste because of the chemical preservatives and adjuvants in them. As we explained above, Jeff has no clue what he is talking about, so that dismisses that argument. The doctors didn’t pay for the vaccines, liz. The vaccines were provided by the taxpayer. The same agency that distributes the vaccines, also disposes of the expired vaccines. Doesn’t cost the doctors anything. There is a big difference between a dose of vaccine and tremendous number of doses. Of course medical waste has to be handled appropriately. You shouldn’t confuse these waste management regulations with thinking that the vaccine, as given to a person, is hazardous. The government doesn’t pay for the vaccines private doctors use in their independent clinics, only for the vaccines provided at public health clinics. Yes, but this report is about certain public clinics. You cannot take this data and apply it to other public clinics. Attempting to take data about a public clinic and extend it to a private clinic is completely erroneous. Thus, once again, liz. Your point is based on a false premise and thus has no merit. I think it is just flat out unacceptable that clinics and doctor offices are not storing vaccines properly and this is one more reason people on the cusp of not vaxing might decide for good not to vax. It definitely makes things worse. Doctor offices and clinics MUST get it together to prevent this from happening. Perhaps county health offices and/or the CDC should run an education initiative to help stop this. This is not good. And I am provax!! But this is truly bad. I agree that this is really bad, but, again, how likely is it that doctors will just throw out improperly stored or old vaccines, even if they’re educated on the risks? They had to pay for them out of their own money. It’s so easy to just use them, wink wink, nudge, nudge, don’t show the bottle to the patient, and if any adverse effects occur, we’ve all seen here how easy it is to say, There’s no proof of a causal link, and I, as a medical professional, totally deny that this disorder was caused by a vaccine! It’s rather sad how you view the world, Liz. Insinuating that physicians intentionally break the law and administer expired vaccines. They could have their license revoked for doing that anyway. And it is not individual doctors that decide what is and is not a vaccine adverse event, it is the combined data of thousands of studies. @Nathan – it is easier for the anti-vax proponents if they can dehumanize their opponents. By believing that all doctors are immoral and only concerned about money, they reinforce their own beliefs that an international vaccine cover-up is even plausible. These people obviously have never spoken to an actual doctor. The vaccines were also not bought by the doctors. The vaccines were provided by the government. It’s also easier for anti-vaxers because they can make up any thing they want, whereas professionals actually have to back up what they say with evidence. But according to the report, there was not one single health care professional who was fully complying with the regulations. That means that the many who used expired vaccines either carelessly picked up the vial without even looking at the date on it, or knowingly did so. Either way, it would behoove the consumer not to trust them. But according to the report, there was not one single health care professional who was fully complying with the regulations. That means that the many who used expired vaccines either carelessly picked up the vial without even looking at the date on it, or knowingly did so. This is blatant misrepresentation of the report. First, not one that were compliant with all the regulations. This might mean they just weren’t up to date on their paperwork. Furthermore, there was concern that if expired product was stored in the same place as fresh product that a vaccine provider might accidentally pick up an expired vial. No where in this report does it say that this actually happened, yet alone “many” providers did this. If your position is so strong, liz, why do you have to lie to make your point? And patients should not have to check about proper storage! I would not ask the pharmacist to double check that my meds are not expired and were stored properly. I expect they did that already. I should not have to ask that. But besides that, patients have no way of knowing if the cold chain of a vaccine has been broken, and storage for even a short time at the wrong temperature could destroy the viablility of the vaccine. They can only check the expiration date, but will alienate the health care professionals involved by doing so. They can only check the expiration date, but will alienate the health care professionals involved by doing so. How do you figure a parent taking an active interest in the vaccines a child is about to receive will alienate the health care profession involved? It’s a simple question, with a simple answer. If an expired vaccine was about to be given by mistake, I’m sure a health care professional would welcome the correction so that the child can receive the best protection. I alienated a nurse who gave my child a vaccine by asking for the company and lot number to put in my notebook where I kept this information. She huffily said that they’d keep the information on record, and there was no need to give it to me. Health care professionals are very, very defensive about anything having to do with vaccines. Which shouldn’t surprise anyone. Doesn’t sound like you alienated her at all liz. She answered your question and reassured you that information was available to you if you needed it. Again, why do you have to lie to make your point? Your own words reveal that you aren’t exactly honest with your interpretation of your own anecdote. @Kathy – I agree. No medicine / drug should be stored outside of its optimum environment – in this case, you are also right that it does add fuel to the fire where none should have been in the first place. While I didn’t see the ABC GMA segment, I did view the Nightline and ABC Network News segments about the VFC program audits at VFC providers’ officers. It did seem to me that certain phrases were unusually tilted toward sensationalistic words. When I worked in public health, the nurses assigned to the “Immunization Program” did similar types of audits of the VFC providers within the County. The nurses audited ~ 100 individual pediatric patients’ charts to check for timely and age appropriate immunizations that were entered into a CDC program on Health Department laptops, as well as checking each days’ temperature records for the refrigeration and freezer compartments of the biologicals refrigeration unit. They also checked that the older vaccines were toward the front of the unit, so that vaccine vials did not become outdated. The Health Department also audited other larger VFC providers, including the 7 satellite public health clinics and hospital-based clinics. Those larger audits took place over several days with a much larger number of random patients’ immunization records being checked and entered into the CDC program on the nurses’ laptops. Jeez, I wasn’t aware there were any “regulations” for drug pushers of street drugs, being that my experience is limited to “legal” drugs and “legal” vaccines. Liz Allen…would you care to enlighten us about those regulations? Unfortunately, vaccine clinics are run by human beings and human beings make mistakes. I think expecting perfection from human beings is an example of the nirvana fallacy. Sure, no vaccine should be stored outside it’s optimum temperature. Sure, we shouldn’t have to ask if it was, if we lived in a perfect world. But we don’t live in a perfect world and vaccines are accidentally being stored outside optimum conditions. What is the harm in asking? Health care providers and patients should be partners and by asking, the patient is taking an active role in their own care. I double check expiry dates for products at my grocery store to make sure I get the best product. The grocer shouldn’t be selling expired products but they do sometimes make mistakes. Vaccination is much more important to me than making sure I don’t grab a jug of sour milk. I wouldn’t have to ask if I expected my health care provider to be perfect, but the reality of the situation is that they aren’t perfect. I think it is foolish to just blindly trust the health care provider in light of evidence from this report. I think it is naive to expect any changes to regulations to catch all mistakes on the program end. The consumer can do their part to help catch mistakes as well. Together, we improve the odds of not administering expired or improperly stored vaccines. Also see ToddW’s take on the improper storage issue, New Report from HHS on Vaccine Storage. Proper maintenance of “the cold chain” is a known issue in vaccine efficacy world-wide. I would like to hear from someone on how difficult it is to maintain the cold-chain in the context of a busy office. @ Liz Ditz: Todd W. provides an excellent article on the VFC vaccine storage audit…thanks. Maintaining the “cold chain” within a busy practice is not that difficult, especially with the switch now to single dose vials. It is far better to draw up syringes from a multi-dose vial (such as some seasonal flu vaccines), away from young patients, in the medication room where the biological refrigerator is located, after the parent has been informed about which vaccines will be administered. Single dose measles vaccine is a freeze dried vaccine, kept under refrigeration and must be reconstituted just before use, with a diluent. When vaccines are delivered to a clinic or a private doctor’s office, they are packed in plastic cooling books surrounded by cold “bubble packs” with a temperature gauge that will indicate any break in the cold chain during the shipping time. As I recall vaccines were only shipped on Mondays or Tuesdays, to avoid arrival on the weekend, when our office was closed. Our biologicals refrigerator was huge with a device that recorded its temperature every hour. It also sent a signal to our County security department in the event that the temperature was not maintained, during the hours and days when our office was closed. Several times, the on-call nurse was notified by Security about a problem and the contents were transported to an area hospital for cold storage. When public health staff goes off premises to conduct special immunization clinics for post exposure prophylaxis during a food-borne illness or childhood diseases outbreak, or for Mantoux testing in schools or a workplace after exposure to a TB case (PPD must be refrigerated), we would pack up the vaccines, the immunoglobulin or the PPD vials in coolers with cold packs. The largest special clinic that I recall, was about twelve years ago when there was a shortage of seasonal flu vaccine, due to manufacturing difficulties. We immunized 8,000 residents who were elderly or who had other risk factors, during a Saturday and Sunday, at a local college campus. The “oddest” site for a special clinic was in an unused stable at a local racetrack to Mantoux test racetrack staff exposed to a highly infectious active TB case. This is a significant issue that is also being overstated by ABC and other outlets. For example, the ABC news report says “The investigation found that 76 percent of the providers stored the vaccines at temperatures that were either too hot or too cold,” but this is misleading, giving the impression that they were stored this way all the time. This was not the case. The study measured fridge and freezer temps every 15 minutes over two weeks and 76% had a temperature outside of the recommended range for at least five hours (roughly 1.5% of the time or more) over those two weeks. 6/45 fridges and 11/41 freezers, had temps outside the range for 120 hours, roughly one third of the time period, which is more concerning, but a major reason for this seems to be that the thermometers did not measure the same as the device that the investigators chose to record the temperature (the TempTale thermometer). It may be that guidelines for thermometer selection need to be more stringent, but it’s hard to blame the clinics too harshly when their devices do not indicate a problem. At least, that’s the impression I got from the report. There were however, some instances of more serious problems, including using non-recommended refrigerators or not calibrating thermometers regularly. By no means am I trying to excuse the inappropriate storage of vaccines, but I don’t want the problem overstated, either. […] and one does not get immunity from chicken pox because the virus reactivates to cause shingles. And the vaccine VZV that you have inoculated the innocent children with, does it or does it not reactivate as shingles? Don’t forget the Pubmed Cris. Th1Th2 I’m with you all the way! I had chicken pox as a child and now I have such a huge risk of contracting shingles……so…………..Every time I see a child with chicken pox, I grab them, hold them and get as much exposure to them as I can. It is a little booster shot or reminder to my immune system and I won’t get the shingles! yay! Why do you think we have an explosion of shingles? We have vaccinated away the wild virus. Now big pharma has come up with another huge money maker..shingles vaccine! Oh, wait, you have to be 60 to get it. Shoot! And no, I do not have the Pubmed article for this either. Google it..
Just ignore, germ-phobic, child-hating, health care professional wannabe troll. What nursing job did you have in which hospital, Thingy? My baby is making it and i am seeing the charges with progressing. Q i will like to know the importance of exclusive breastfeeding, and the normal weight of baby from birth to 2yrs. Exclusive breastfeeding is very important for the first six months of an infant’s life, and will provide him with considerable disease protection. Supplementary breast feeding for as long as the child wants it will give him long-lasting, though not complete, protection against many diseases. I’m sorry, you have been misinformed, liz. Breastfeeding does not provide “considerable disease protection”. Before vaccines, many breastfed infants succumbed to VPD. The best protection is to breastfeed and vaccinate. Breastfeeding can supply maternal antibodies. This is a form of passive immunity. Passive immunity is not long-lasting and in an older child, the digestive system would destroy these antibodies before a protective effect could be achieved. Vaccination is the best way to provide immunity to VPD. Breastfeeding for an extended period of time is not a substitute for the recommended early childhood immunizations. You should make certain that your child is fully immunized, according to the schedule that is recommended by the CDC. Your child’s growth should be plotted on a growth chart that is part of your child’s permanent medical record. Growth charts plot the infant’s weight, length and head circumference. Ask your doctor to see your child’s growth chart. You should make certain that your child is fully immunized, according to the schedule that is recommended by the CDC. lilady’s trans: You should make certain your child qualifies for shingles early on. The best and the most effective way is through direct inoculation of live VZV into your child’s system, that is, follow the recommended vaccination schedule. Of course, like Chris, I have been cruel and sadistic to my kids as well. Just look at them. Unfortunately, your belief is based on superstition. If you have had chicken pox before and then you choose to re-expose yourself to chicken pox virus, be it from natural varicella or the shingles vaccine, then you’re allowing yourself to become infectious again (varicella re-infection). And no, SECONDARY exposure to VZV neither causes nor prevents shingles because shingles is caused by PRIMARY VZV infection either from the vaccine or from natural chicken pox, whichever came first. Again, the shingles vaccine or any reexposure to wild VZV does not prevent the pre-existing latent VZV from reactivating as shingles. And don’t be fooled every time they use the word “booster”, it’s just another lousy term for “re-infection”- i.e. antibodies are “boosted up” following an infectious process. In the end, don’t be an infection promoter. People who get the varicella vaccine may later get shingles, as well as people who have gotten the natural disease chickenpox. Both introduce the varicella virus into the body, where it lies latent until reactivated years later as shingles. But shingles isn’t usually a serious disease: I had it once, and at least in my case, it wasn’t painful at all. I have a friend who got it, and felt very sick and weak for two months, still has residual pain where the lesions were. It can run a gamut of severity. But personally, I’d rather get the disease at as young an age as possible. Shingles is more common now because the varicella vaccine now prevents much exposure to the virus, which acts as a booster to keep the virus from being reactivated. But personally, I’d rather get the disease at as young an age as possible. Chris is right. There are persons who are cruel and sadistic….and absolutely insane. Shingles is more common now because the varicella vaccine now prevents much exposure to the virus, which acts as a booster to keep the virus from being reactivated. No. Shingles is more common now because there are people who are cruel and sadistic…and absolutely insane. I wouldn’t even bother to let you know that you just contradicted yourself. And now you’re going to claim that the varicella vaccine now prevents much exposure to the virus, what have you been smoking dear? Me too. Unfortunately, shingles is an opportunistic disease that manifests itself when the immune system is impaired…by immune-compromising disease, by immune suppressing treatments for cancer and other disorders and because of the natural consequences of aging. Have you any citations to back up your theory? Ahhh. Birds of the same feather, infect together. @Liz – you must have had a terrible relationship with that practice. Each and every time I deal with my health care professionals, they bend over backwards to provide me with any and all information I ask for. Perhaps it is because I treat them with respect & not calling them Paid Shills & baby killers…. @ Liz: Why should we believe anything you post about your child’s immunizations or your relationship with your child’s physician or office staff? Just in case, you were denied your child’s immunization record by a doctor’s nurse…as you claim…I’m wondering why you didn’t speak with the doctor, to secure the records. So Liz, how many of the Recommended Childhood Immunizations has your child received? Wow, how defensive could the pro-vaccine camp be? The snide remarks and insults in the comments here make it obvious that vaccine pushers are not as confident in their positions as they’d like to be. Please tell me what part of my request for the scientific data showing the risks of DTaP and Tdap versus getting diphtheria, tetanus and pertussis was snide and insulting. Was it the part where I noted that there was no information about the book and its authors on the webpage linked to on your username? I simply don’t understand the concern of the immunized folks about those not immunized. How can there be an outbreak of anything if most have already been vacinated? The only ones at risk would be those choosing not to get the shots. Their choice, right? Still a free country last i checked (barely). Actually, ron, it is not only those who choose not to vaccinate that are at risk. There are people in our population that cannot be vaccinated due to other health issues, as well as infants too young to be vaccinated and no vaccine is 100% effective in preventing an infection from the VPD it is intended to prevent, but the risk of infection is still much less with vaccination then not. Let us also keep in mind that the children of the parents choosing not to vaccinated are usually the ones that will end up suffering. How many of these parents are vaccinated themselves? That would be an interesting comparison to check. The parents are the ones making the choice, not the children and I’m sure if you asked a child if they’d rather get a shot in the arm or a disease that would be uncomfortable, dangerous, potentially deadly and possibly disabling, I bet they’d choose the vaccine. Those that are the most vulnerable are the ones that are the innocent victims of their parents’ choice. @Ron – still a free country – check, still full of pretty stupid people, also check. Vaccine’s aren’t 100% effective – so the widest possible adoption of the vaccine is necessary to build up the appropriate level of herd immunity to make sure that diseases don’t get a foothold in the population. This also protects those too young to receive the vaccines & those who also can’t (articulated very well by Lara above). You also speak like your “choice” affects only you – but you are actually talking about making that choice for your children – it is up to the parents to act in an educated and responsible manner & make the correct choice based on actual science, not the insane ravings of the anti-vaccine nut-jobs (dawg!). ron, what is your sure fire way to protect babies under a year old from measles since they are too young to get the MMR? I have just rec’d a letter stating that my childs vacine from Dec. 30, 2011 was in storage that wasn’t kept at the proper temperature. The letter is dated May 18, 2012 however the envelope is postmarked 7/10/12. They are telling me I am can come in, free of charge, for another vacine. I am mad as hell. I have another child that rec’d vacines in Aug. 2011 and I rec’d a similar letter after her vacinations. I can’t tell you the level of distrust I now have for the doctor’s office. I am at a loss of what to do. I want to protect my children by vacinating them, but how is it possible when the people you entrust their care to, don’t keep up their end of the deal? This is absolutely horrible! I can’t tell you the level of distrust I now have for the doctor’s office. Because they admitted to an error? Traci, While I can certainly understand how upset you are (no one wants to have to bring their child in for “do-over shots” if it can be avoided), and while improper vaccine storage should not be acceptable, I am pleased to hear that the doctor/clinic not only took responsibility for the error, but made the effort to contact you and offer to re-vaccinate your child free of charge. Unfortunately, since this happened with your daughter as well, I would question the doctor’s office, asking why they have not been able to rectify the issue and get some assurance that this is/was an isolated incident that will not continue to occur. I am so sorry for your inconvenience, but I certainly hope that you will take the time to have them re-vaccinated. This is the best way to ensure that they receive the best chance at immunity from whichever vaccines they will need to have re-administered. Not because they admitted an error, because they knew of the error 12/23/2011 and still vacinated my child on 12/30/2011. Complete negligence. I called the 2 numbers they gave me to call, and have yet to have a response 48 hours later. Is finding a different clinic an option, Traci? Traci, I am sorry. Perhaps another practice with a better office management team. What you experienced has nothing to do with their medical expertise, but how the office is being run. You might want to ask around to see if there is a clinic with better run office. Those that call when you need appointments, get you your records when needed, and return phone calls promptly. Fortunately I’ve never had issues like yours from the family practice I have gone to for almost thirty years. I noticed in the flyer I get from my local university on their continuing education certificates that one is actually for “Medical Management.” You really need to find a clinic who actually has someone trained to run a medical office. A quick Google search shows that there are actually companies that help run medical offices! Yikes! It looks like you need to find a better managed clinic.